PES Syringe Filter - Polyethersulphone Membrane Syringe Filters | Simsii, Inc.
Simsii Non-Sterile PES syringe filter is designed for maintaining the stability in low pH with low extractable levels and low protein binding. These filters are certified for issue culture filtration, protein filtration, and ion chromatography. 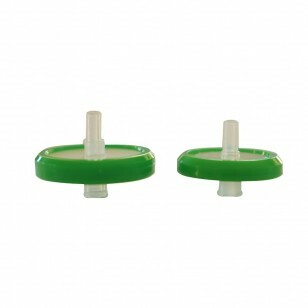 Our PES syringe filters are hydrophilic in nature with a higher flow rate. They are available in a pack of 100 pieces color-coded for easy identification. Each filter has a Male slip outlet and female Leur Lok inlet for easy handling and leak-tight application. There is a polypropylene housing with an exceptional chemical stability. Additionally, our filters depict higher oxidative and thermal stability. With these features, they are perfect for filtering of aqueous solutions. For more details related to this product, please call us today.